Some robbed ATMs with a fork! Can you believe it? Some get creative and robbed ATMs with a fork! While your online security is protected by Le VPN, some get creative and robbed ATMs with a fork! There’s been many stories in the past years about the fraud happening online, and many internet users have learned to protect their identity and data transfer when using the web. While the internet security measures get more sophisticated and the internet users get more educated about the potential risks online and start using such services as Le VPN to protect their privacy, there are still real cases of bank and ATM robbery, including in the countries with very advance security measures. According to the RT news agency, this week a million euros in cash was stolen from an ATM machine in France. The robbers FORK! for dozens of fake ATM withdrawals from a French bank group Caisse d’Epargne, including Natixis bank. 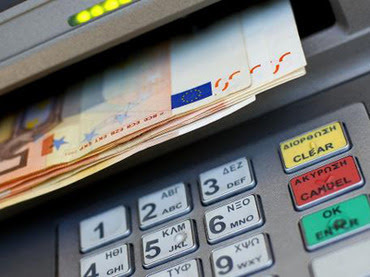 The creative ATM bandits used prepaid cards and a fork to withdraw a total of one million euros from different ATMS. All of them are thought to be Romanian nationals.